Company Profile » The Company » John Energy Ltd. Established in 1987, John Energy Limited is a leading Indian company catering to the upstream & mid stream Oil and Gas Industry. With its rich experience of close to more than 30 years today, the company enjoys a respectable name in Onshore Drilling, Work-over and completion services, Natural Gas compression and conditioning services contractor in India, having a rig fleet of 34 rigs, comprising of 19 Drilling, 15 work-over rigs, Multiple Gas compression packages and Gas conditioning Equipment. The journey started from manufacturing and the company soon transitioned to becoming an integrated service provider for Oil and Gas market and is today ISO 9001/ISO 14001/OHSAS 18001 certified with a well incorporated management. The company holds quiet a share in its own area of work and has now expanded its operations in emerging Geomarkets like CIS countries and west and North Africa. 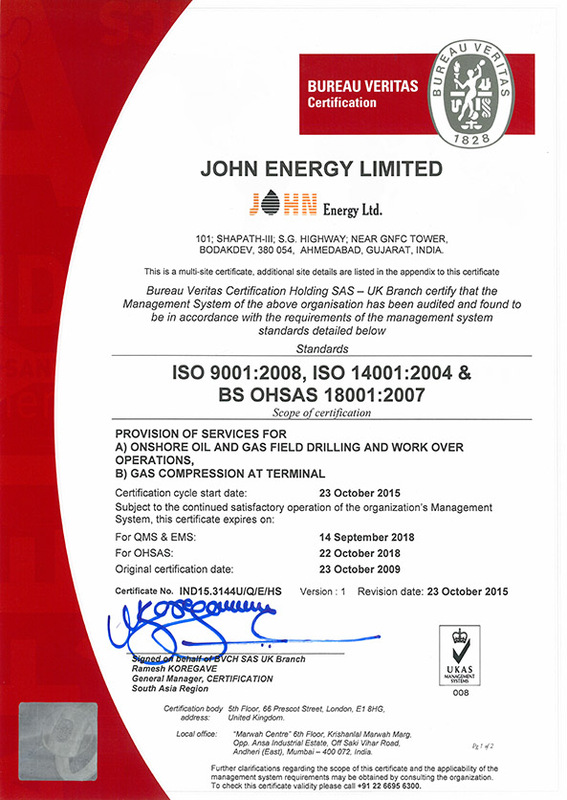 The International competitiveness on quality and customer satisfaction of John Energy is backed successfully by the fact that John Energy is an approved vendor with the Kuwait Oil Company for Drilling and Work-over services. It is also in the advanced stage of pre-qualification with other GCC Operators, the company is all set to enter the GCC market. 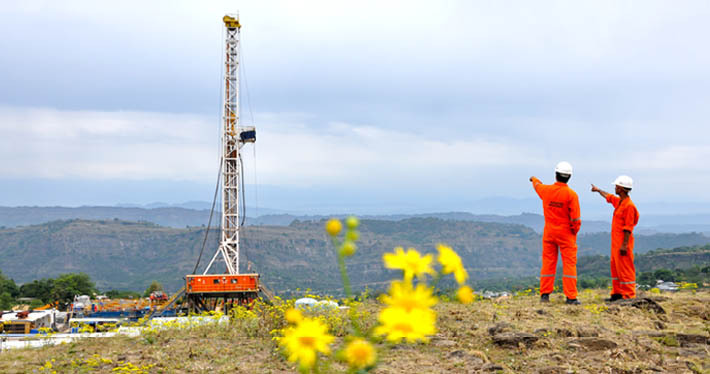 John Energy boasts of a vast resource pool comprising of Rig building and refurbishment base, central stores and a world class training facility. 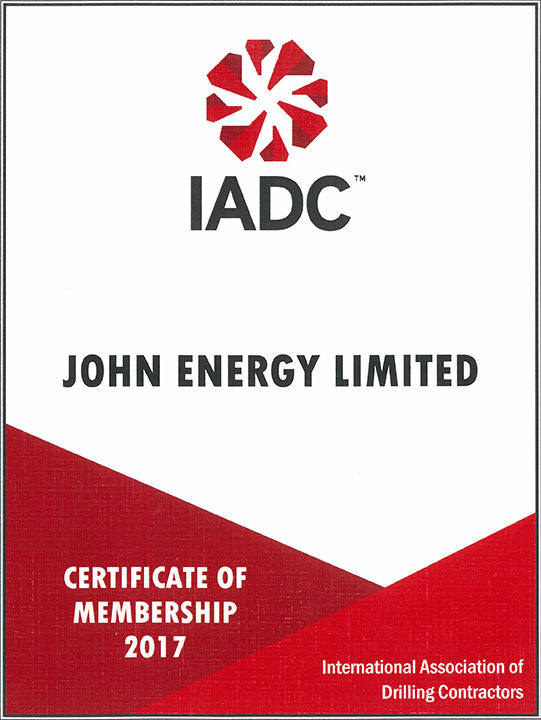 To top the resources are the highly dedicated and technically qualified 1400 + professionals who are proud to be part of the John Energy team. The company is working constantly towards its business aim to leverage its technical and safety leadership that it has cultivated through decades of project execution in the Oil and Gas industry to enhance the efficiencies of our customer's drilling projects.